And write. Write every day, even if it is only a page or two. The more you write, the better you’ll get. But don’t write in my universe, or Tolkien’s, or the Marvel universe, or the Star Trek universe, or any other borrowed background. Every writer needs to learn to create his own characters, worlds, and settings. Using someone else’s world is the lazy way out. If you don’t exercise those “literary muscles,” you’ll never develop them. A: I don’t. My publishers do. In France, in Italy, in Germany, in the Czech Republic, in Korea, in China, in Japan, and in several other countries, the novels have been published as two (or in some cases, three or four) books. My understanding is that this is largely a matter of economics. These are long novels even in English, and in many cases the process of translation can actually make a book longer. And each publisher presumably knows his own market, and what the readers will and will not accept in terms of book length and book price. Even some of the publishers who would prefer to issue each novel in a single volume — my British, Dutch, and Hebrew publishers, for instance — found themselves unable to do so in the case of A STORM OF SWORDS, where the sheer size of the book would have made it prohibitively expensive to produce, for their markets. I know it must be annoying to have the story broken up into two or three or four parts, but in some countries the choice is either that, or no edition at all. At least I am in good company. Tolkien’s LORD OF THE RINGS was written as a single long novel, too. It was his publisher who decided to issue it as a trilogy, purely for commercial reasons. Q: Why don’t you come to [fill in name of city] and do a signing and a reading at my local bookstore? A: I’d love to, but it isn’t up to me. I expect that when A FEAST FOR CROWS is published, I will be doing a book tour to promote it, just as I’ve done for the first three volumes. I usually visit a dozen different cities or thereabouts, in as many days. In each city, I do one “sit down” signing where I meet the readers and personally inscribe their books [sometimes accompanied by a talk or a reading, depending on the wishes of the store], and a number of “drive by” signings, where I just rush in, shake the hands of the manager and sales staff, sign all their stock, and rush out again. The next day I do it all over again in another city. I’d be willing to do a few more cities, if there was sufficient demand… but not too many more, thank you. These tours can be exhausting, and a fifty-city tour of the sort that Stephen King and John Grisham have been known to do would not only take two months out of my life [and writing time], but might also kill me. In any case, it is my publisher [in the U.S., Bantam Books] who decides whether or not to send me on a signing tour, how many cities I’ll visit, and which ones it will be. Bantam also decides where I’ll do my “sit down” talk and signing. So if you want me to appear at your favorite local bookshop, the first step is to have the bookshop put in a formal written request for me with Chris Artis at Bantam’s promotions department. It also helps if the store in question orders a lot of the books, and knows how to publicize author signings and get a good turnout. Some stores do, some don’t, some can’t be bothered. 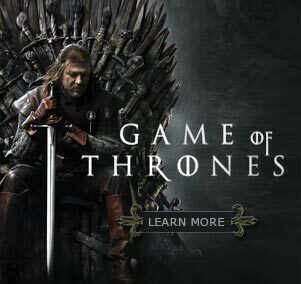 When I toured for A GAME OF THRONES back in 1996, one store (in Lexington, Kentucky) had four hundred people there to see me, while another (in St. Louis) had four. Guess which one I have been back to, for all my subsequent tours? I use a “total immersion” method. Since I do not know going what particular nuggets I may need during the course of writing a novel, I try to learn as much as possible about the subject in question (the medieval world, in the case of A SONG OF ICE AND FIRE, or the antebellum river and the steamboat era in the case of FEVRE DREAM) by reading everything I can get my hands on. 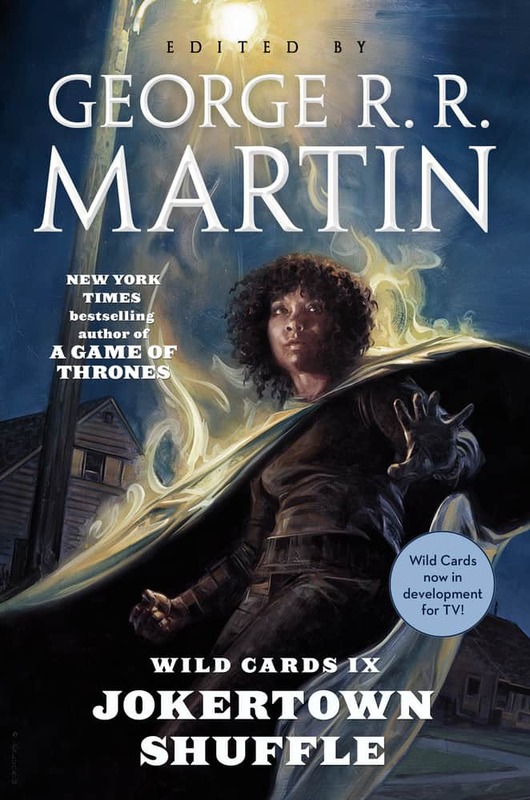 Some particular books I found useful for A GAME OF THRONES and its sequels deserve mention. For anything military, one good place to start is with the Osprey series of illustrated reference books. They are primarily intended for gamers and miniaturists, but they give an excellent overview of the periods and campaigns they cover… and they’re inexpensive as well, generally running only $12 to $14 a volume. A writer cannot do too much research… though sometimes it is a mistake to try and cram too much of what you learned into your novel. Research gives you a foundation to build on, but in the end it’s only the story that matters. Q: Why don’t you update your website more often? Some of the news is months old. A: I try to update as often as I can. There are two problems. The first is time. I have a great webmaster who does all my HTML and web design for me, but I still need to supply her with the content. So if I want to add a news item, I have to put aside the book and anything else I’m working on, and do that instead. With the book running so late, I have less for updates. The other problem is simpler. Sometimes there’s just nothing new to add. The HarperCollins/ Voyager 1996 edition was the British first. Its official publication date was earlier than that of the Bantam edition, but Bantam went to print several months early to hand out copies at the ABA, so I consider theirs the true first. However, the British edition had a much smaller print run. As a consequence, it is much rarer, and even more valuable. I’ve seen it selling for anywhere from $800 to $1500 on the internet. Then came the SF Book Club edition. A smaller size hardcover, it used the Bantam cover, but was a dull grey instead of bright silver. You see this one listed on ebay frequently. Some sellers are honest enough to list it as the SFBC edition. Others just call it the “hardcover,” trying to pass it off as the first. You can join the SFBC and get the book for around $12 even now, so it’s foolish to pay $50 or more for the same thing on ebay. *Warning: We do not accept unsolicited manuscripts or screenplays Please do not send any unsolicited material, they will not be read or sent back they will be immediately shredded.